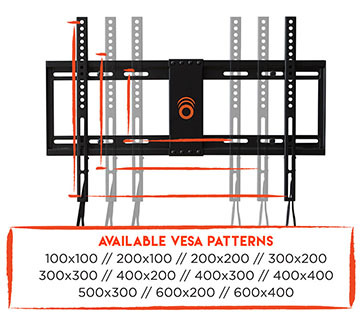 32" - 80" 1.25" 150lbs 16" or 24"
Make your wildest dreams come true with a low-profile fixed position TV wall mount for flat screens up to 80". 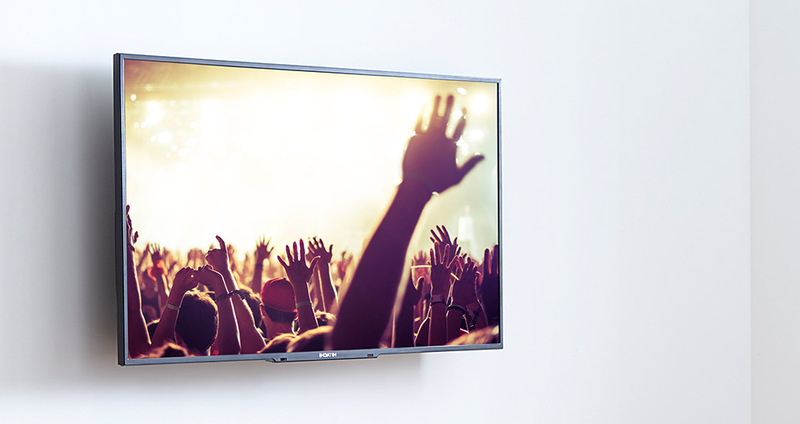 Hold your TV close so close to the wall, that it's almost invisible. Fits 32" to 80" TVs. Holds 150 lbs. Can time travel. Sits only 1.25" from the wall. One of these is a lie, can you guess which one? With a plethora of hardware, minimum assembly, and a blazing fast install, you'll be saying things like "Wow, there is a plethora of hardware, minimum assembly, and a blazing fast install." Is there anything we didn't think of? 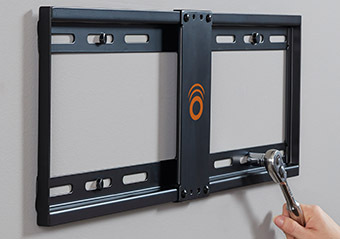 Click lock security system with pull-string quick release makes it easy to ensure your TV is locked during installation and even easier to take the TV off the wall when needed. 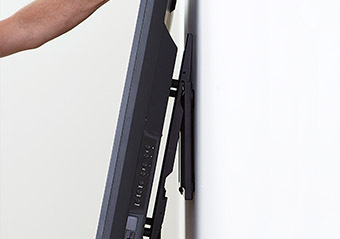 A thin TV deserves a thin mount. 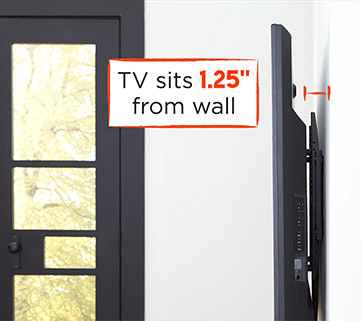 Get a crisp, clean look with this mount that sits just 1.25 inches from the wall. Wall plate allows compatibility with 16" studs, 24" studs, Brad Pitt studs (not too soon, he will be okay). Mounting has never been so easy: 30 minutes to install on either 16" or 24" wood studs, with all hardware included and pre-divided. We give it our all. Easy to follow instructions and customer service availability every day of the week. 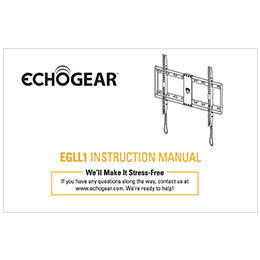 Don’t worry, we’ll do the heavy lifting: ECHOGEAR mount is tested to hold 4 times the weight they're rated to. Set it, and forget it. The ultimate in easy mounting. 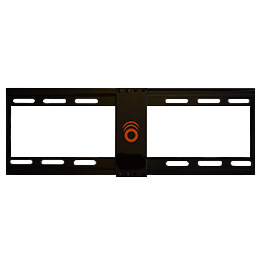 If you need a TV mounted in a single location, that doesn’t need to swivel, extend, or tilt, this is the perfect mount for you. Since it doesn’t need to move, it has the lowest profile, so the TV mount is basically invisible on the wall. Your friends will think it’s magically levitating when they come over, like Wingardium Leviosa. Being so close to the wall does have one major drawback, it is hard to access your cables. 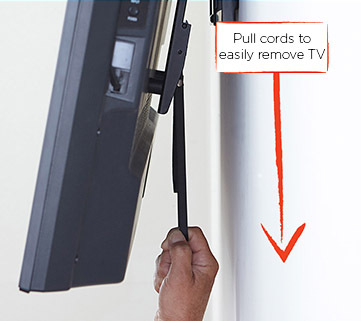 Luckily, ours has pull cords to easily unlock the TV from the mount, to get at your cables without having to take the entire TV down, saving you time. And we all know that time is money, money is power, power is pizza, and pizza is knowledge. Because the mount doesn’t need to move, it is also the most budget friendly mounting option and the easiest to mount. Just remember that you won’t be able to tilt the screen to eliminate glare. If your TV is in a bright room, consider giving this tilt mount a look-see. 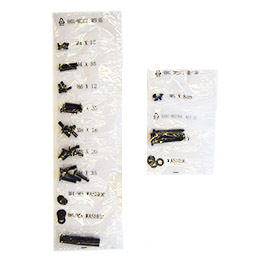 This type of mount also tends to fit a wider range of VESA patterns, improving it’s compatibility with TV brands like Samsung, Vizio, and Sony. Wondering if it will fit your TV? Check the MountFinder tool to ensure a match. “Invisible tough wall mount! 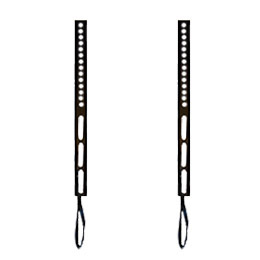 Well built basic slim-line mount.” -Gerald E.
Not into puzzles? Hang with us. With an easy 3-step installation, you'll be done in less than 30 minutes. Your beer will still be cold. 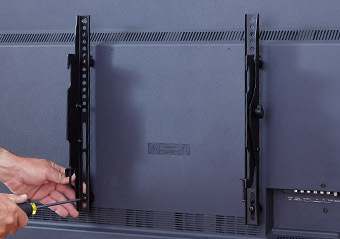 Click the button below to add the Low Profile Fixed TV Wall Mount for 32"-80" TVs to your wish list.